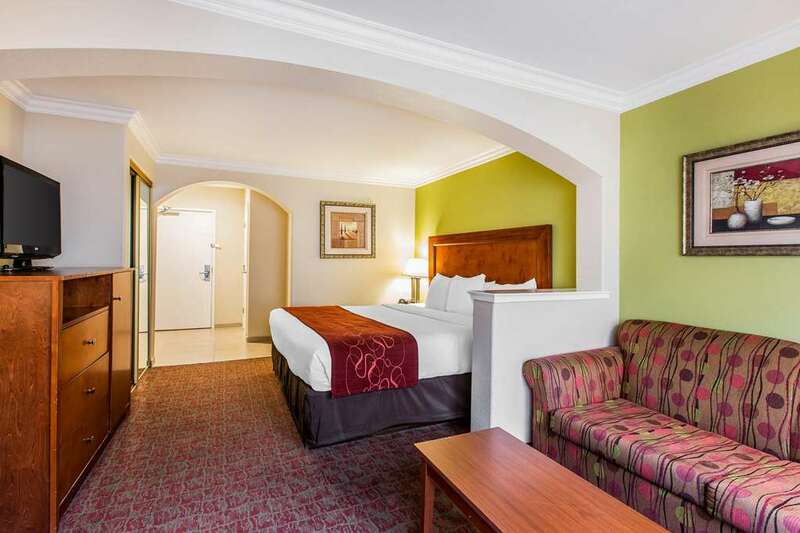 The Comfort Suites Fresno River Park hotel, a member of the Choice Privileges rewards program, in Fresno, CA offers guests the extra space you need with the extras you want. We are merely minutes away from the Fresno Yosemite International Airport, Fresno Convention and Entertainment Center, Fresno City College, Bulldog Stadium and the Savemart Center. Enjoy our free hot breakfast, free WiFi, fitness center and guest laundry facilities. Your spacious suite offers 25 percent more space than the traditional room, with amenities like a microwave, fridge, TV, coffee maker, sofa sleeper and recharge device. Upper-tier suites have even more amenities, such as a hot tub.